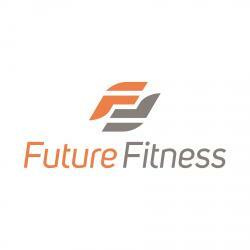 Future Fitness is the premier location to find your Baton Rouge personal trainer. Trained in the latest fitness techniques, your personal trainer will give you a one-on-one fitness evaluation to establish a regiment tailored to your body and needs. We are an appointment only training facility. This allows us to focus on the individual needs of our customers. Are you looking for personal training in the Baton Rouge area? You don’t have to be a seasoned athlete to enjoy the benefits of Future Fitness, nor do you need to be a beginner. Whether your fitness goal is to lose weight, improve your balance, stamina, athletic performance or overall well-being, Future Fitness Wellness Center can tailor a fitness program just for you that will help you achieve results. Your Future Fitness personal trainer has expertise in resistance training, flexibility training, cardiovascular training, neuromuscular training and techniques that will help you reach your goals. Call and talk to any of our certified instructors today, in order to get more information. Chris Gendusa, owner of Future Fitness opened its doors at the mid-city location in 1994. Now a 6,000 square foot personal training facility in the Mid City area, Future Fitness boasts a cardio room, weight training studio and massage spa with five certified personal trainers. Because no two clients are alike, Future Fitness trainers are trained in the latest fitness techniques to help you achieve your personal fitness goals. Before beginning a fitness regiment you will receive a one-on-one fitness evaluation. A routine is then developed for you that best suits your personal needs. Recommendations are also suggested to help you with nutrition and maintenance during days that you are not training. Many of the Future Fitness clients have been training with us since the business was established. Ask any of our clients and they will tell you that the reason they choose Future Fitness over any other fitness facility in the city is the benefits of personal service, a state of the art facility, convenience and dedication to their results. We not only take your goals seriously, but personally and we are dedicated to helping you commit to get fit!